When it comes to organizing your IT equipment, the quality centric Geek Racks brand steps up to the task. Our rack mount shelves and enclosures provide secure containment for servers, telecommunications equipment, security/DVR recording devices and much more! Whether you’re looking for full sized cabinet racks or compact wall mount units, Geek Racks sources professional grade racks to fit large and small business needs. Accessories are an integral part of supporting the organizational strategy behind server rack storage systems. Geek Racks brand offers a full line of accessories that assist in wire management, cooling, improve aesthetics and work to create a sturdy platform for a variety of equipment needs. Our complete line of server rack accessories work hand-in-hand with Geek Racks server equipment to meet the needs of any business’s IT platform. 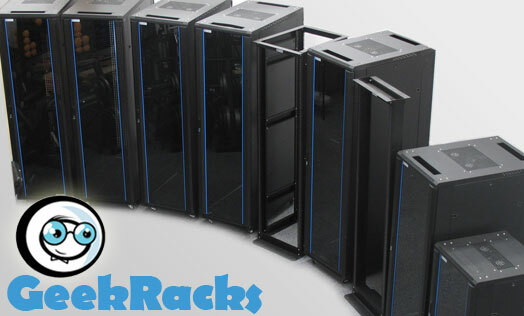 Geek Racks server rack equipment and accessories can be found online from authorized resellers and in stores. Learn more about where to purchase Geek Racks brand products and view our approved list of retailers. Got questions? We've got the answers. Discuss the Geek Racks product line with one of our knowledgeable U.S. based experts. Contact us via e-mail or call us for further info. 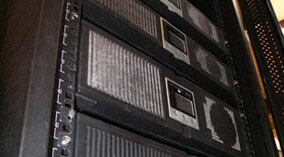 Geek Racks is a leading brand of server rack equipment and accessories. 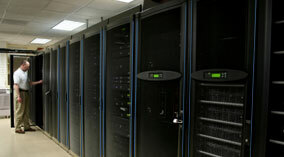 Our mission focuses on bringing innovative server storage products to the market. Learn more about us and our product lines . . .